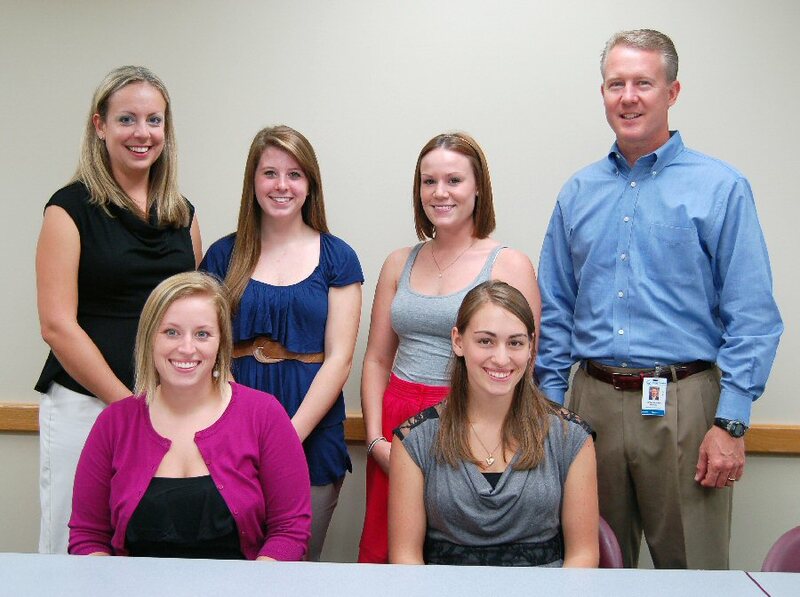 The Rural Health Network of Oswego County (RHN) recently presented five $500 scholarships to area college students who are pursuing healthcare careers. Seated from left are Sarah Stevens, of Fulton, who will be attending Cayuga Community College to earn an associate’s degree in nursing and Jenna Zaia, of Phoenix, who is earning a degree in biomedical sciences at SUNY Cortland. 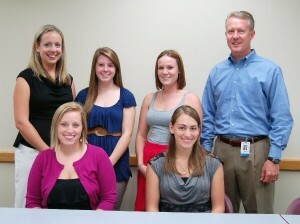 Standing from left are Danielle Wert, RHN coordinator; Kayla Clark, of Mexico, who is studying occupational therapy at Keuka College; Emily Lloyd, of Oswego, who is earning her registered nursing degree at St. Joseph’s College of Nursing and Jeff Coakley, Oswego Health Vice President for Strategic Programs. Missing from the photo is Emily Paye, of Central Square who is attending SUNY Binghamton to earn a bachelor’s degree focusing on integrated neuroscience. The mission of the Rural Health Network of Oswego County in part is to improve the quality, affordability, and availability of health care services in the county by focusing key resources to address specific health care priorities and to strengthen the local health care system. The agency is part of Oswego County Opportunities and among its many participating partners is Oswego Health.